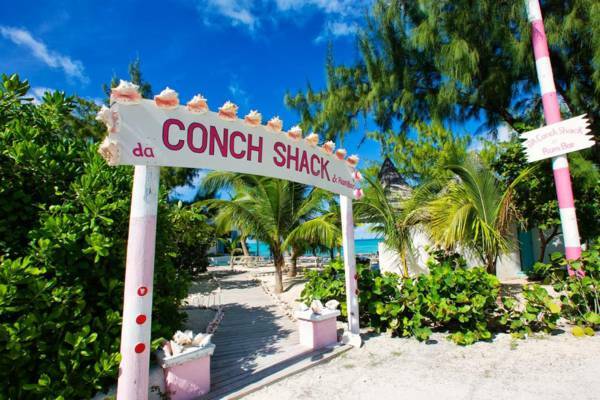 Da Conch Shack, Blue Hills, Providenciales. This popular open-air beachfront restaurant specializes in locally harvested conch, seafood and Caribbean dishes including jerk chicken and ribs. Local bands play every Reggae Wednesday. House-made desserts include Key Lime Pie, Ginger Cheesecake and Rum Cake. Family and group friendly. The iconic sign at Da Conch Shack, Providenciales.